Suki graduated from the 3000 hour program offered at West Coast College of Massage Therapy. Her studies from the program have given her a solid background to perform therapeutic massage to a wide variety of patients. During her time at WCCMT, she was fortunate to be given the opportunity to volunteer at multiple outreach placements such as GF Strong, VGH, BC Women’s hospital, and various sporting events to gain valuable experience. 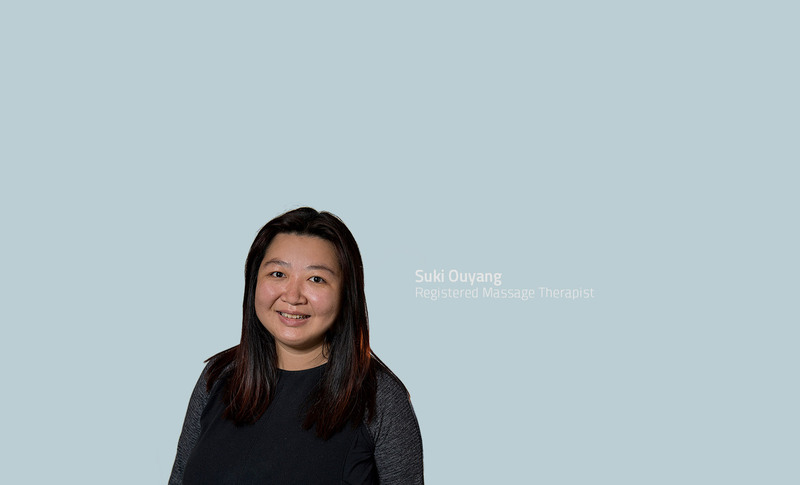 Suki’s approach to massage therapy is multi-faceted, with a special interest in Manual Lymphatic Drainage. She completed advanced training in Manual Lymphatic Drainage offered at the Dr.Vodder School International and is a Vodder-Certified MLD/CDT Therapist. This program enables her to treat patients with lymphedema and venous insufficiency edema using a combination of MLD, Exercise Therapy, Compression Bandaging and Skin Care. Suki’s approach to treatment is individualized and her focus is to work with her patients to improve their quality of life and get them back to proper function. Suki was born in China, raised in Edmonton, Alberta and moved to Vancouver, British Columbia in 2004. She speaks fluent Cantonese, Mandarin and English. During her free time she enjoys hiking with her German Sheppard and playing badminton.